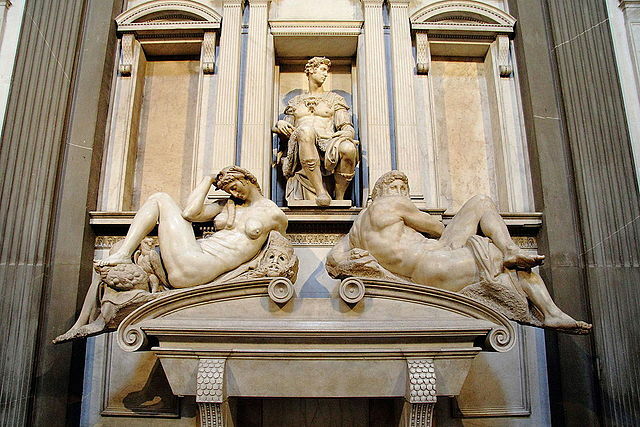 Michelangelo has the unique honor of being an artist that both defined a generation of artists and remained active and tremendously important in the generation that followed. This sacristy was created over decades by Michelangelo and the assistants in his studio for a member of the Medici family, who ruled Florence as a duchy (Michelangelo remained a staunch supporter of republicanism). The influence of Brunelleschi is apparent in the architectural details.